Alton Brown’s Really Good Waffles are great for a lazy weekend, still in my bathrobe, thinking about getting my shower done after breakfast, morning. That’s when I transform from a slightly rumpled, slightly frumpy Grandma in a slightly tattered robe (if you follow me, you might remember Chance and his bathrobe shredding stage last year and if you don’t follow me, please do!) hair sticking up and half-asleep into a veritable waffle making Goddess dispensing crispy, tender, golden waffles, drenched in butter and syrup, one by one to the breathlessly awaiting crowds, the sounds of applause and cheers ringing in my ear. Ok, so that’s an exaggeration. I should say to my eagerly awaiting folks. Who do eat them very happily. There very well might be a few happy eating noises and lots compliments. Now, normally I’m more of a fan of an overnight, yeasted waffle, especially this one I developed from a Marion Cunningham recipe. I had to try Alton Brown’s Really Good Waffles, though just to see how they stacked up. (Sorry for that, I couldn’t help myself). I was intrigued by the name – mainly because it has an honest ring to it. Really Good. That’s usually good enough for me. 🙂 And I really like Alton Brown’s Pancakes, too, so I figured his waffles would be great. Conclusion: Alton Brown’s Really Good Waffles were very good and particularly very good for a buttermilk waffle. You’ll need to make sure you have a good waffle maker that reheats well after each waffle – when ours (ok, I bought it for $9.99 so what can I expect?) wasn’t at the peak of hotness (and it was really struggling), the waffles were not as crisp. But they were still really good, and I’ll be making them again. If you know Alton Brown, he doesn’t give measurements by the cup for a lot of his recipes, so I added in the cup measurements for you. It’s a pretty good estimate if you give the flour a stir to lighten it and spoon it into the measuring cup. I don’t know many people who keep whole wheat pastry flour on hand. I mean if you really love these waffles and plan on making them all the time or are a big baker, go for it. I got by with using whole wheat flour and two tablespoons of cornstarch. The easiest way to get the proper amount is to measure two tablespoons of cornstarch into the bottom of your measuring cup then add the whole wheat flour on top. Easy, peasy. I didn’t try the recipe using all white flour, though, because even though I’m not a huge baker of bread, I do throw down every now and then. I just keep it in my freezer as whole wheat is more likely to go rancid sooner since it contains the whole wheat germ. I don’t mean that to sound like a disease! You can read more about the wheat germ on Wikipedia. Whisk together the flours, baking powder, baking soda, salt and sugar in a medium bowl. Whisk the eggs and butter together in another bowl, and then whisk in the buttermilk. Add the wet ingredients to the dry and whisk to combine. Rest the batter for 5 minutes. Lightly coat the waffle iron with nonstick spray. Ladle the recommended amount of waffle batter onto the iron according to the manufacturer’s recommendations. Close the iron top and cook until the waffle is golden on both sides and is easily removed from the iron, following the manufacturer’s instructions. Serve immediately or keep warm in a 200 degree F oven until ready to serve. I just used whole wheat flour combined with cornstarch and they were just fine. May be frozen (freeze flat on a tray lined with plastic or parchment; once frozen put in a Ziploc bag.) Reheat in a toaster or 350 degree F oven. I’m taking this recipe over to Fiesta Friday 173, put on this week by the intrepid beachcomber, Angie, and her two co-hosts: Lindy @ Love In The Kitchen and Paula @ Her Life Is Love. I’m sensing love in the air, this week. It just takes a second to click over and visit and see all the great link-ups & give them some love back. This entry was posted in Click here for Bargain Meals, Click here for Fabulous Food Posts and tagged Alton Brown, Breakfast or Brunch Dish, Buttermilk, Freezes Well, waffles. Bookmark the permalink. Nancy, I struggled with it too, but honestly I thought it was my waffle maker! I do have a hint that’s helped with with waffle recipes. I put them in a 200 degree F. oven for several minutes. I’ve seen that instructions before and thought it was just about holding them so they could all be served at once, and since in our family I just make serve/make serve so never did that until recently but I have found it makes waffles crispier, too. Saw your episode on waffles. Gave me great advice on waffle making. Made a boxed waffle/pancake mix. Awful. Then made these, WOW! I was in a hotel, having a amazing waffle! Hubby loves them as well. You made me laugh – in a hotel!? You must love waffles as much as I do! But I’m just a person with a site that featured Alton Brown’s recipe, not his actual site!! But I do have a couple of other great waffle recipes coming up! 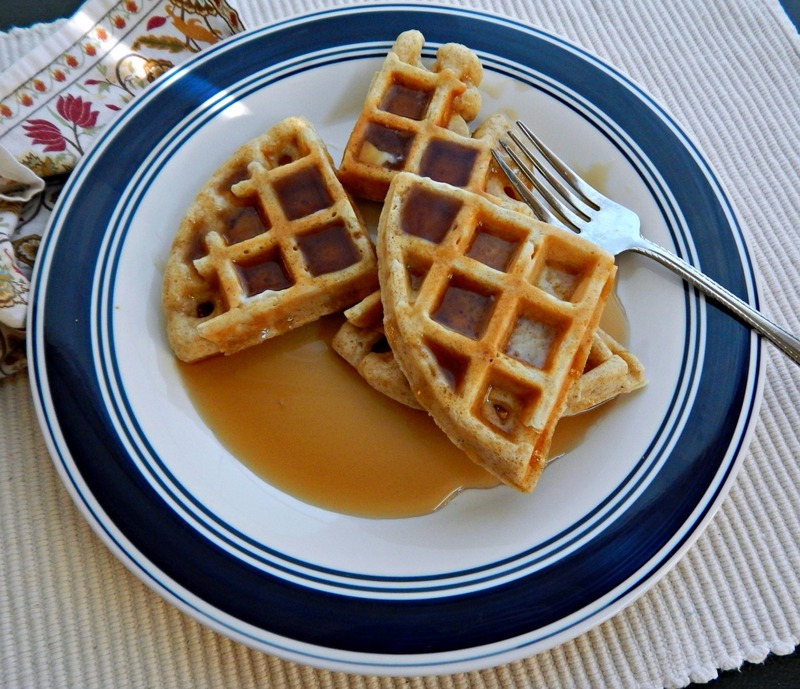 We love waffles here and I’d eat them more often if I didn’t hate making them, lol!! These are pretty straight forward! Thanks, and sorry for the late reply! I adore waffles so we’re kindred spirits! Thanks, Rhonda, you’re the greatest! And I can say the same for you as far as having so many fun recipes, I especially love your cakes! I know and I just love a good waffle. I could pass up most pancakes, but a waffle – never! !